Are you aware that the iris, azalea and hydrangea are considered to be toxic plants? Most people know about the very poisonous plants like mistletoe, deadly nightshade and poison ivy, but as a safety precaution, you should also know about other toxic plants like iris, azalea and hydrangea which might not necessarily kill, but could still poison someone and make them feel very ill.
Paradoxically, many potentially harmful plants, including Irises, are also considered to have healing properties. The bulbs of irises are poisonous, possibly only mildly so. The gastrointestinal tract may become affected by the glycoside iridin, causing nausea, vomiting, abdominal pain, diarrhoea, and fever. Also Iris can cause skin irritation or dermatitis. In ancient times Egyptians would grind together salt, small doses of dried iris, mint and pepper, to make a substance for cleaning the teeth. Recent research has shown that the iris really does have beneficial properties and a preparation made from iris is effective in combatting gum disease. 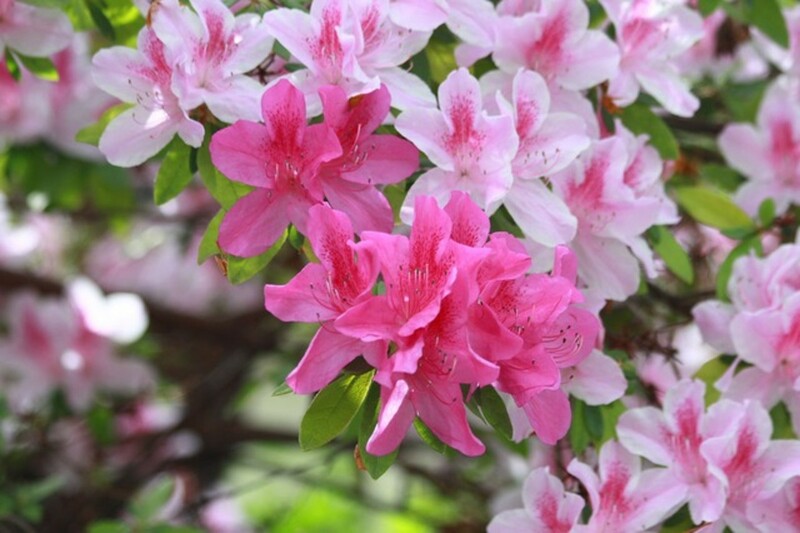 Azaleas are a sub species of the Rhododendron family. 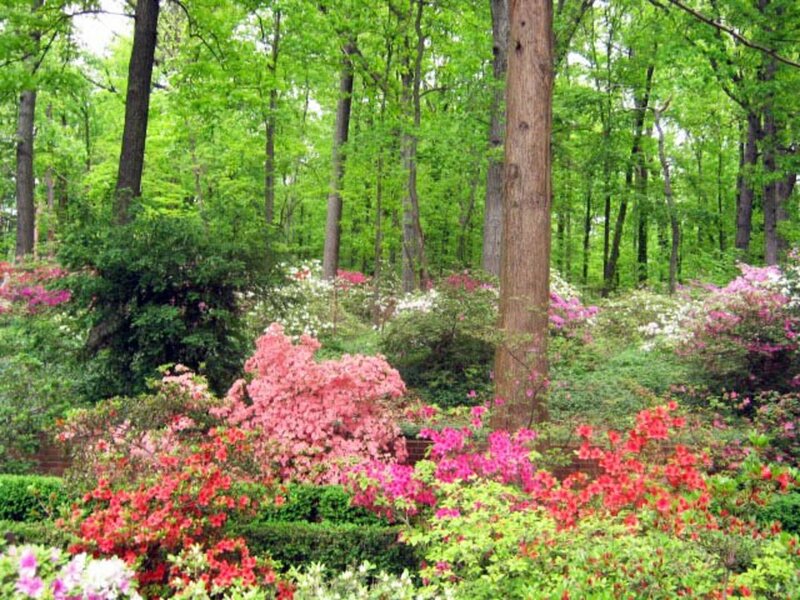 Azaleas and Rhododendrons are ornamental shrubs, grown for their clusters of spectacularly bright and showy flowers and evergreen foliage. 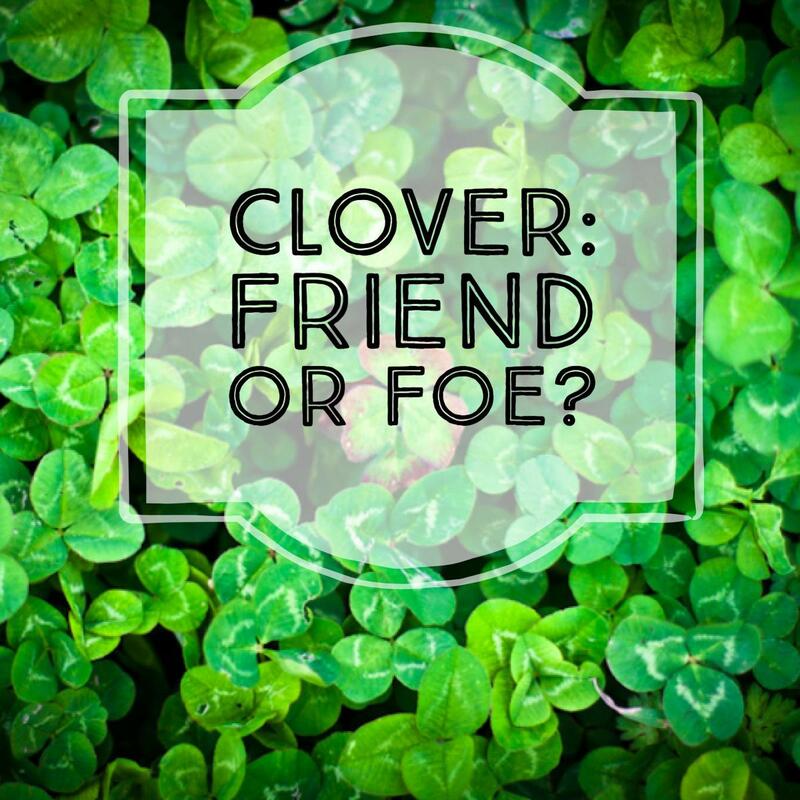 They have potentially toxic leaves and flowers and even the honey from their flowers can be poisonous. Flowers and leaves contain glycosides, but particularly andromedotoxin. This is a volatile resin which burns the mouth, and thus usually discourages potential victims from consuming dangerous quantities of the leaves. The human digestive tract is capable of breaking down small doses of andromedotoxins into harmless compounds, so human fatalities from eating these plants are rare. However, victims who consume a lot suffer from nausea, vomiting, abdominal upset, and low blood pressure. People who regularly eat affected honey may also suffer similar chronic symptoms . 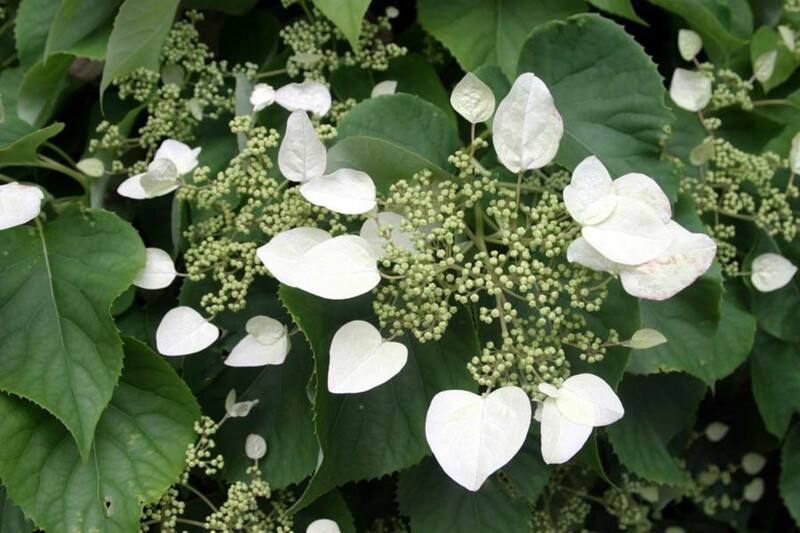 Poisonous Plant: Hydrangea (Hydrangea macrophylla) - Who Would Have Thought That Hydrangea is a Poisonous Plant? 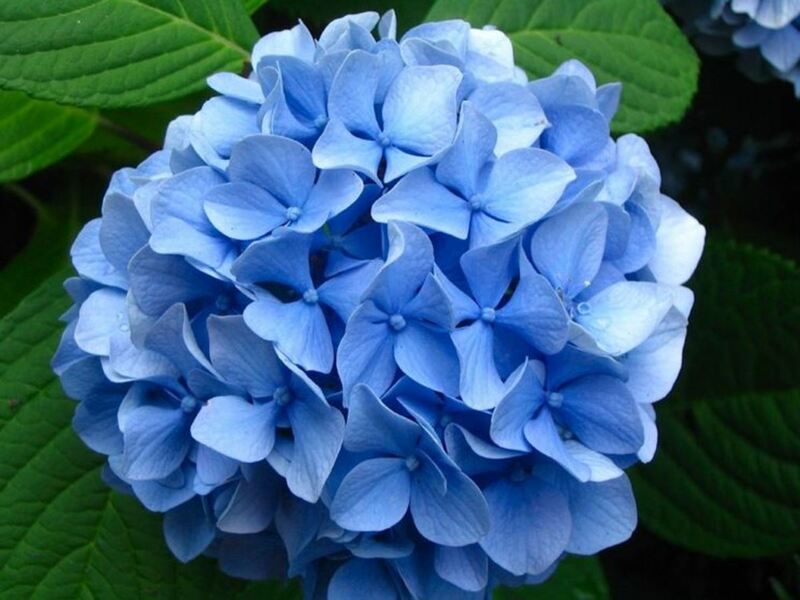 Hydrangea (botanical name: Hydrangea macrophylla) is a plant which is poisonous to humans, although not usually deadly. Leaves, buds, flowers, and bark.The poisonous component is Hydragin. stomach pain, nausea, vomiting, sweating,diarrhoea,lethargy and, in severe cases, more serious problems like labored breathing, convulsions and coma. Sensitive people may develop contact dermatitis from handling the plants. Doctors will try to replace your fluids, help you breath more easily and administer drugs to bring back your normal heart rhythm. Would you know what to do if a child or pet ate a poisonous plant? I would just mention that I have all these plants in my garden, and have never experienced any adverse effects, and neither has my cat, or anyone I know. Have I been extra careful? No - until I started researching, I had no idea that these plants were poisonous. I've been aware since I was a child that plants with white sap, like poinsettias, are poisonous, and I learned the hard way that hellebores are poisonous, but these particular beauties - never! I will have to answer yes to that. So what do we put my good fortune down to? All I can say is that I have planted them, touched them, nurtured them and even pruned them without developing any of the symptoms described above. Maybe some people are just more sensitive to noxious substances than I am.....and, of course, I always wash my hands after gardening, and I'm not inclined to lick my fingers or rub my eyes after touching any plants, whether or not I believe they are poisonous. Has that saved me from being poisoned? Hard to say. But it does seem to be good advice generally. I trimmed my hydrangea back and there were numerous dead stalks sticking up. I reached down to clear the old leaves and the stalks ripped my skin in several places. I developed cellulities and a skin rash. Did the dead hydrangea stalks cause this? Hydrangeas can cause skin problems on some people. 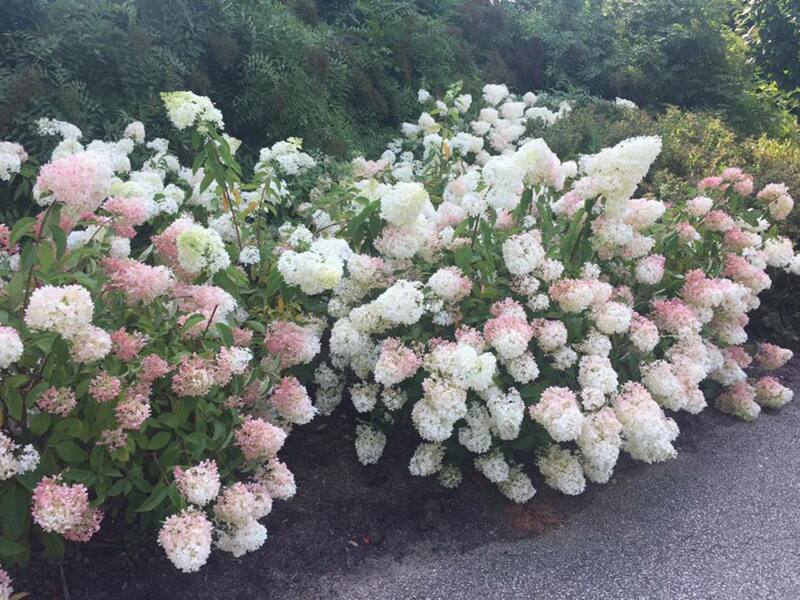 Certainly, if the skin rash and cellulitis occurred exactly where your skin was ripped, then it does seem likely that hydrangea was the cause. As I said in my article, the poisonous parts are leaves, buds, flowers, and bark.The poisonous component is Hydragin. According to Healthline : "Cellulitis occurs when certain types of bacteria enter through a cut or crack in the skin. Cellulitis is commonly caused by Staphylococcus and Streptococcus bacteria." I won't go into more detail here, but the upshot is that you should see your doctor as cellulitis can be serious. My granddaughter put a couple of hydrangea flowers in her mouth, but she seems fine. What else should I do? Clearly, by the time I received this question, you would probably have discovered whether the hydrangea flowers had any ill effects. My advice to anyone else reading this would be to speak to a pharmacist or doctor as quickly as possible. I am not in a position to give detailed medical advice - I studied law, not medicine! I'm growing irises and companion planting with mandarins to see the effect of water retention in the roots, as well as the potential effect on fruiting. What do you think? 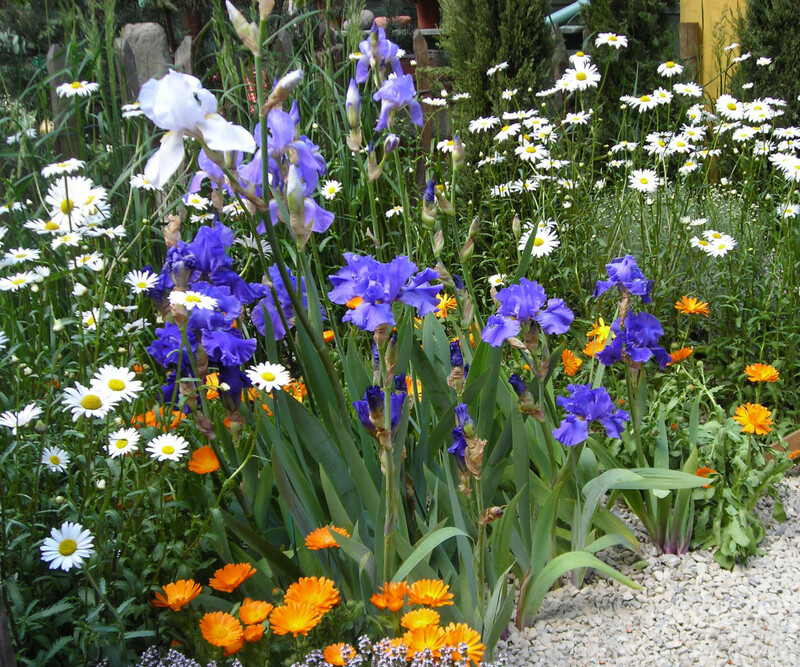 I have never heard of irises being used as companion plants, but it is probably worth a try, just as an experiment. I have a hydrangea planted right outside a large window. I've been ill for a while; I've been shaky and have been having difficulty breathing. Could the bush have poisoned in the air? "Some reports associated hydrangea pollen with hayfever, but allergenic potential of this pollen is not well studied." According to Teleflora, (https://www.teleflora.com/floral-facts/best-worst-... Hydrangeas are not allergenic. According to Allergic Living (https://www.allergicliving.com/2013/03/14/plants-t... hydrangeas can cause allergies, because they release pollen into the air rather than relying on insect pollination. So the penny still seems to be up in the air, but as the air just might be contaminated by pollen, I would say it might be better to remove the bush. However, I think you might also want to consider whether this is the first year you have had a flowering hydrangea outside your window, or whether you have had it there for years and have never been affected by it previously. Having said this, I am not a doctor, but it seems possible to me that maybe an allergy can develop suddenly, even when you had not previously been allergic to the same substance. 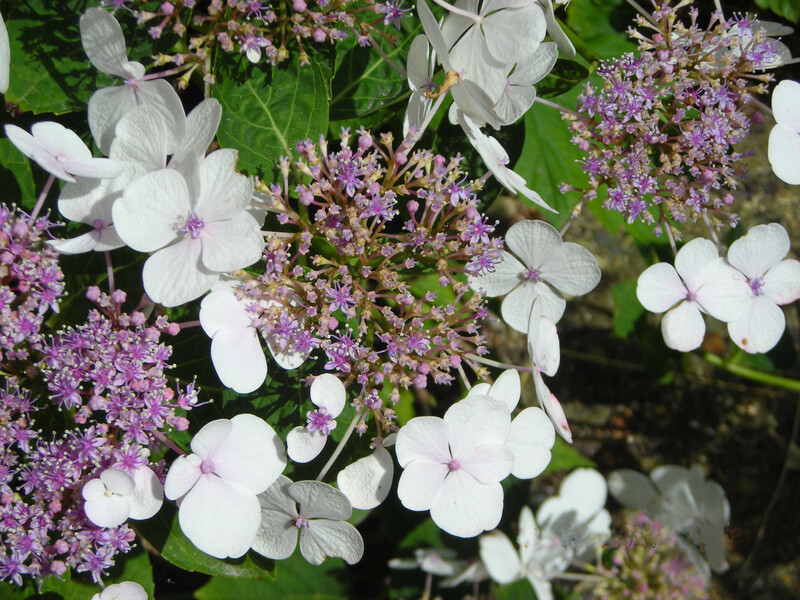 If you do reluctantly decide to remove the plant, remember that it's easy to take cuttings of hydrangea and pot them up. When they have rooted, plant one or more of them in a more distant part of the garden where you won't constantly be breathing in any pollen. Can iris leaves give you a rash like poison ivy? Iris leaves can give you a rash, but it would depend on your sensitivity, I imagine, as I have certainly never had a problem when handling them. I don't know for sure whether it is similar to a poison ivy rash, but I think it is. I hope this helps, as they are far more knowledgeable than I am on this subject. Are Christmas cactus and Orchids poisenius to cats. Thanks for the information. Poor doggy - I'm glad she didn't suffer lasting effects. I washed her face and mouth with cool water, shaved her front paw(wrist) and applied phenegran gel.....she relaxed and stopped throwing up.... slept a little while...woke and ate some BaKed Chicken...drank a little water..... FEELING BETTER!!... THANK GOD She's OK........!!!! I didn´t know that these plants are poisonous. Thanks for the heads up. Sorry to hear that. I'm quite surprised, as I've grown masses of crocosmia (montbretia) for years, and have not had any bad experience. No doubt some people are more sensitive than others. I was recently pulling weeds in my garden and was scratched by the leaf of a crocosmia leafy and it burned my skin and it sent shivers down my left arm, I immediately tried was my skin off with cool water, this did nothing, so I tried antibacterial soap, then vinegar which seemed to work the best! After it still burning and tingling (not a nice tingle either)! I then tried aloe straight from the plant! After an hour it is less painful! I do have contact dermatitis but never anything like this!!! I was born and raised in Savannah, GA. My siblings, my friends, and I ate azalea flowers all our childhood. Whenever we were hungry and outdoors, we'd pick azalea flowers and eat them like crazy. They are actually quite sweet and delicious! I recently planted four Hydrangeas very close to my vegetables. I have no idea they are poisenous. Does anyone know if it is safe? I really appreciate your help. I like your hub. Some plants are dangers. It is true. I am glad . you are making people aware of this beautiful poisenous flowers. I treat any flowers with causious because It is not easy to know. What, the plants and flowers can do to us. You did an exvellent job. I like the pictures. The information and orginization is good. Thank you miss gloriousconfusion for the information. Do not forget to check your subtittles. Very informative, thank you. I like to walk with my grandson, being four, he likes to touch every thing. Being a very sweet little boy, he always wants to pick flowers to take home to Mommy. I appreciate the list, and plan to use it. I had no idea that the hydrangea was a problem plant. Since I have no children around, I'll continue to cultivate it. Thanks for the information. My 2-year-old granddaughter and I encounter hydrangeas frequently on our walks, so I am grateful to learn that all parts of the plant are poisonous. She asks me the name of almost every plant in her field of vision and increasingly shows interest in the different types and sizes of leaves. About the Egyptians using bits of the iris plant in their tooth care mixture, don't you always wonder how the ancients made these discoveries? I certainly do. Interesting! I have the plants, and I never considered them poisonous. I'm a little in the dark on what's toxic in the plant department, so I appreciate your page very much! These flowers are very pretty. Interesting to find that they are poisonous. Glad to know this for when my grandchildren come to visit. I can attest to the fact that hydrangea is poisonous. My sister brought one over in a basket. We didn't know it but a leaf fell off. About 15 minutes later my dog threw up. And, then she continued to do so for the next hour and a half. She did rid herself of all the pieces of leaf. And, she was fine a few hours later. It was sure scary though. I remember reading later that although it doesn't produce cyanide, it has cyanide like affects. It's usually not deadly, but boy, it sure gave my dog an upset stomach. I have always kept hydrangea's and poinsettas around my house. I've had other poisonous plants but mostly those two. Because of this I have kept myself aware of what plants are poisonous and what to do if a child were to eat them. The best defense for me is making sure that children know if you put this in your mouth it will make you very sick and could kill you. Always good to know these kinds of things. Very informative. Thank you. Your lens is lovely. We need to continuously teach our children about all plants; what to grow so they can have food, what to forage if they ever need to, and what plants are poisonous (including mushrooms). Oh bum! I love the blue iris - had no idea. Just recently visited The Getty Center in Los Angeles and in their garden they have azaleas - at the center - who would have known. Any cases of people dying from the normal garden usage? Most probably would not eat them - best not to have around little children. THANKS for the info. @anonymous: : Thank you for your message which will be dealt with as soon as possible. I have always liked hydrangea's, they are one of my favourite flowers, but I had no idea they were poisonous! Very informative lens. this is an information to be kept always in my mind! I trained as a Landscape Architect so had to know a little about which plants to use, and which plants to avoid. the poisonous plants came into the latter category, but I didn't know that any of these plants were poisonous. 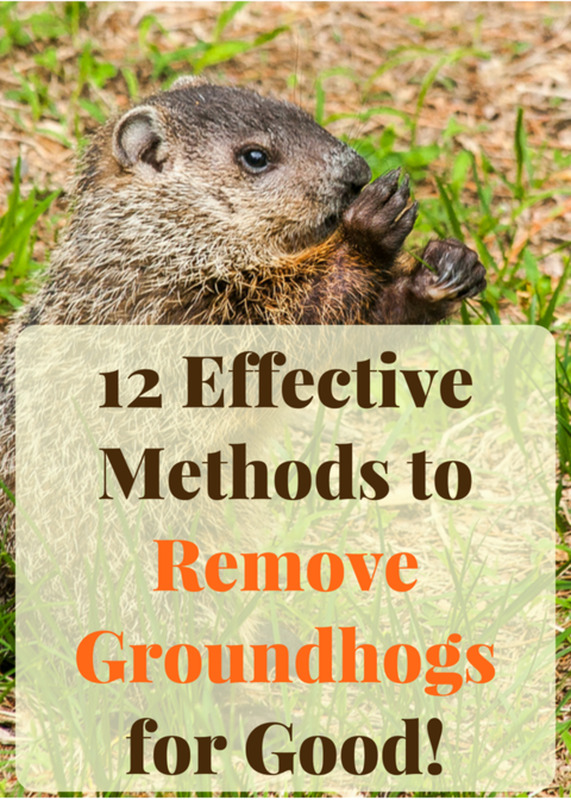 This is important information, especially since my dog loves to chew up plants in the garden. Bookmarked so that others see this info. Really plants like iris, azalea and hydrangea are very dangerous for all, these are very toxic which is very bad for our body system. Here we can use artificial azalea and hydrangea plants, I think this website (www.qualitysilkplants.com) is helpful to purchase artificial azalea and hydrangea plants. Very ironic that some of the most pretty plants are poisonous. Thanks for letting us know. Irises are my favorite flowers. I wouldn't have ever known they are poisonous. @Lee Hansen: good one! Or how about Flowers to Die for? @Michey LM: Yes, it is surprising. The thing is, you can still grow them, but just be careful not to stay in contact with them for long, and be sure to wash your hands before you touch your mouth. I don't know that iris, azalea and hydrangea can be poisonous - it is a total surprise for me... especially because I like iris and azalea. thanks for shearing! I learned a lot from this lens! I didn't kknow Iris was poisonous either. I tried to have a poison free yard when my kids were little. Oh well, at least they never ate them. I am enjoying your website. Did not know that the iris was poisonous. Just started planting them in the last couple of years. I will have to make myself wear gardening gloves now. Thanks for the info. Never realized I had all these toxic plants growing around my country garden. They're all so beautiful. Thanks for the heads-up! Well well, I did not know that any of these three plants were poisonous - I really learned something useful today, thanks! I know quite a bit about poisonous plants because I love reading old mysteries like Agatha Christie. 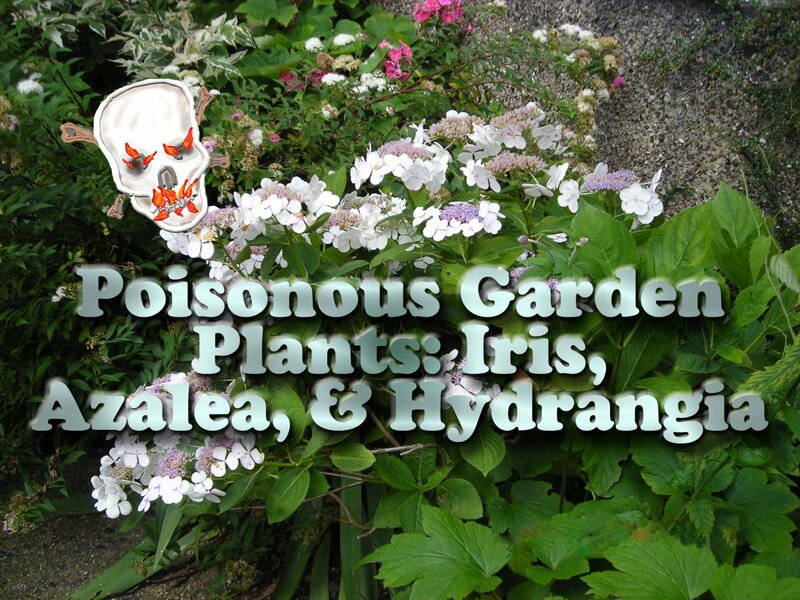 Obviously I don't know my poisonous plants, I had no idea Iris and Azalea were on the list. Thank you! nice and informative lens. Thanks! thanks for the informative lens! I have many of these growing outside. I will have to warn my kiddos. Thanks. 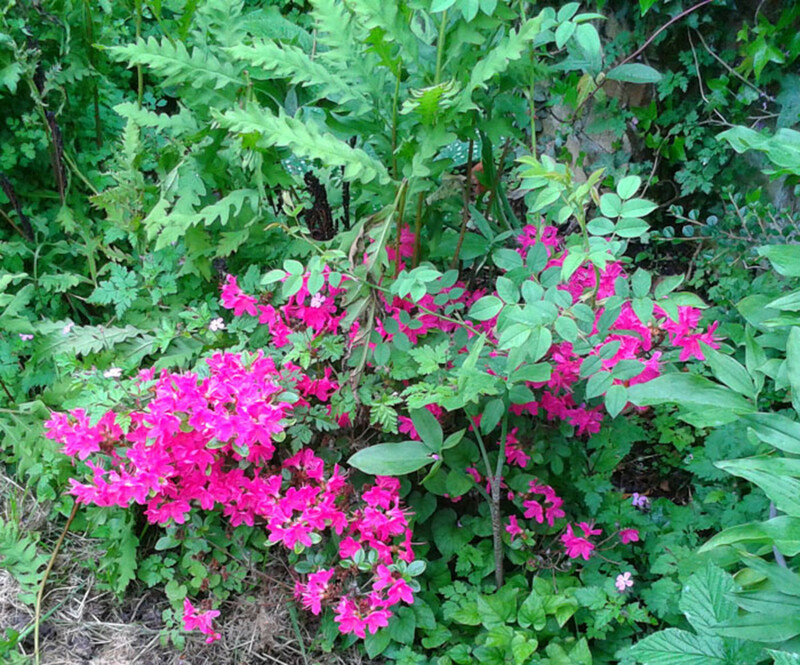 I never knew azaleas were poisonous. I did find out Wisteria is poisonous, after my nephew put a pod in his mouth and started to swell up. Thanks for this lens. It was sooo interesting! Thanks for this warning. I've never had success growing any of these plants, so maybe it was a blessing in disguise. 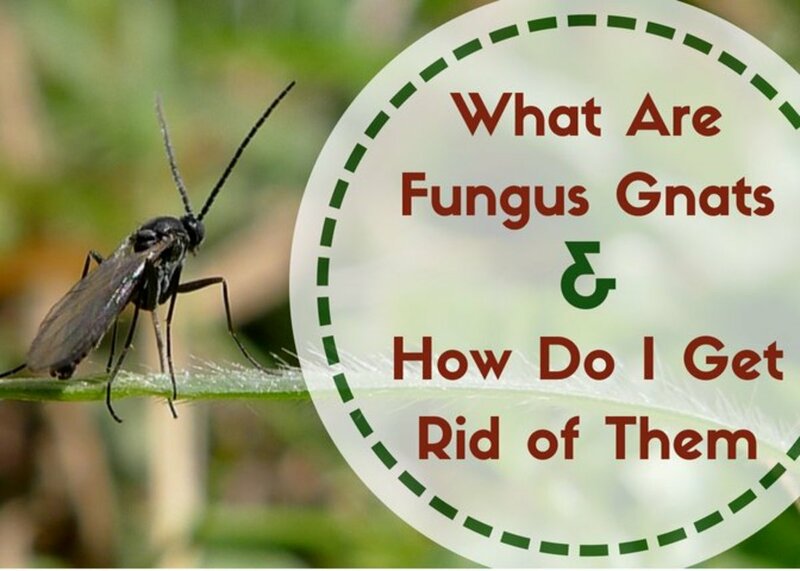 My cats are forever munching on grasses, and I try to keep toxic plants out of the garden. Wow, I had no idea Azaleas and Hydrangeas were poisonous plants! Good to know. Wow, good to know. I'm not much of a gardener at all. Thanks for the education. Both of these beautiful plants grow everywhere in the Puget Sound, Washington State area. My daughter has had to replant hers to the front yard for a nice street view and keep her three tiny dogs in the back yard where they have safe, edible plants. @ZenandChic: Dangerous to eat flowers and leaves, and even the honey sourced from these plants. Thanks so much for the Angel Blessing! Are they dangerous to touch or eat? I just photographed both kinds of these flowers... Irises and Azaleas. I had no idea these three beautiful plants were poisonous. All three grow prolifically in Vancouver. It's good to know. I did not know hydrangeas were toxic. I have a few in the yard I'll have to make sure dog doesn't get into it. Toxic plants: I want to find out as much as I can about these plants. You see, we've got a very large garden/aboretum which would cost at least A$8,000 to fence,and then some native animals can get over/thru. fences. We've found that all our 'resident' native animals either are scared off some toxic plants straight away, or they eat a tiny bit and then stop straight away. That way we can have a great garden and enjoy seeing our animals come out at night to graze only on our lawn. (saves lawnmowing? )Knowing all we can about toxic garden plants ensures we and our animal friends live together. We come from Tasmania, Australia. I'm a gardener and I'd love anything from this site. I also didn't know Azaleia and Hydranga were poisonous. I have both in my garden. Thanks for the info. Nope, I sure didn't know that hydrangeas are poisonous, but when I work around Azaleas I always get an itchy rash. I enjoyed your informative lens and will lensroll. Even though they are deadly, they are still very beautiful. If you are looking for beautiful, but deadly flowers, check out CanadaWideFlowers.com. You can shop flowers to your heart's content. Great article. I knew that Hydrangea were but didn't know about the other two. Another great and informative lens. Thumbs up! @OhMe: Thank you so much for blessing - that was valuable information too! @Hairdresser007: Well, six months have passed since your stated intention to creat a lens on irises - how have you got on, and did you ever create an Iris Area? Thank you for this valuable information on Poisonous Garden Plants. Blessed. Do you think irises are poisonous to gophers as well as to humans? I don't think my gophers have eaten any of mine yet, but I thought it was just luck. I've planted lots of daffodils because they are supposed to be poisonous to gophers. The little rodents seem to enjoy my lantana, though.. I love this lens. Great idea. I am trying to create a lens on irises but am waiting for my 1 iris to bloom. I want to create an iris area and there is an iris club not to far from here so hopefully I can get some good info. Thank you for this one! Good information. Are you aware that rhubarb leaves are poisonous also. Although I have never heard of anyone getting sick from them. Also, these poisonous plants lose their toxicity in the compost pile. Good lens, the azealeas are about to bloom here in the South. This is a great lens 5 stars!